APIL's members are committed to campaigning for reform to improve the law for injured people so that, when the worst happens, people can exercise their right to seek justice, care and fair compensation. But we would all prefer for people not to be injured needlessly in the first place. The third Wednesday in August (15 August 2018) is Injury Prevention Day, when APIL wants people to think about what they can do to help prevent harm. This year our focus is on avoiding needless injuries by ensuring vehicle head restraints are properly adjusted. The UK has 50 per cent more traffic on the roads than the European average - this congestion, coupled with bad driving habits, creates a recipe for low-speed collisions and injuries. 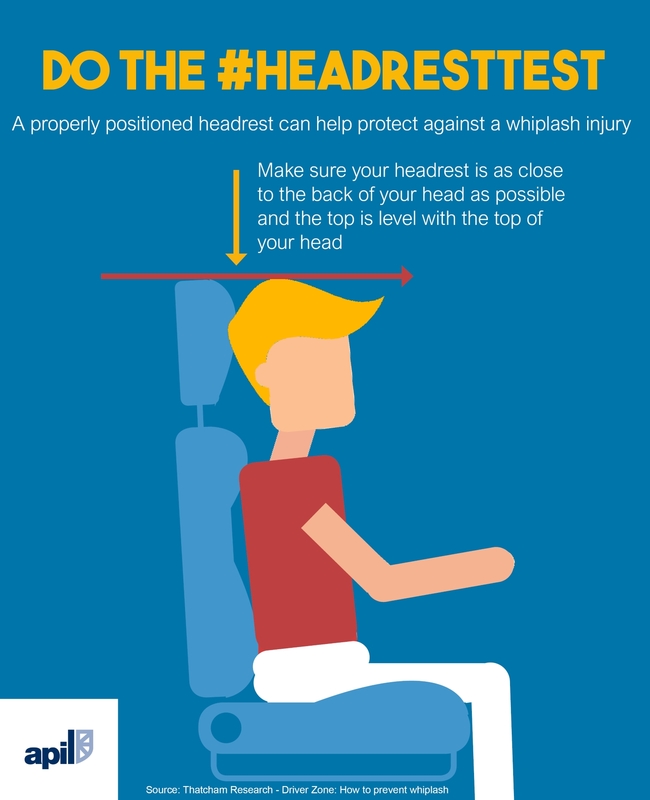 Head restraints that are properly positioned could help to prevent subsequent neck and back injuries. You can share our message on social media at @APIL on Twitter. We welcome and encourage others to get involved in Injury Prevention Day 2018 with their own messages and campaigns. We can support each other to avoid needless harm. Use the hashtag #IPDay18.